Minnesota Orchestra will make an impressive stopover while traveling to South Africa this summer. 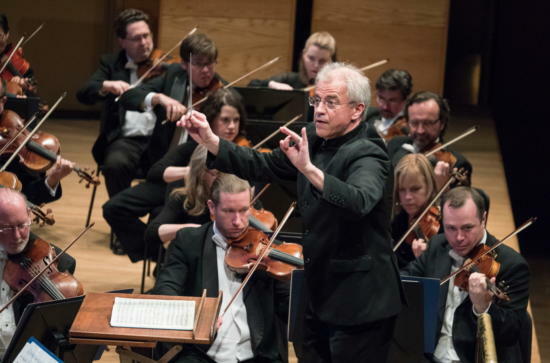 Announced Thursday, the orchestra will take the stage Mon., Aug. 6, at London's Royal Albert Hall for the prestigious BBC Henry Wood Promenade Concerts. This marks their third stop at "The Proms," as the music festival is affectionately known. Musicians will pack up their instruments the very next day and resume their journey to South Africa for a five-city tour. Minnesota players bring an all-American program to the Proms, identical to their Aug. 1 "South Africa Send-Off" date at Minneapolis’ Orchestra Hall. Opening the concert will be Bernstein’s "Candide Overture" followed by Gershwin’s Piano Concerto with piano soloist Inon Barnatan. Also featured is Charles Ives’ Second, a piece of classic Americana heard only once before by Proms audiences. Founded in 1895, the Proms extends over an eight-week period with more than 90 concerts, most of them classical. The majority of events take place at Royal Albert Hall, a vast circular auditorium built in 1871 and named by Queen Victoria in memory of her prince consort. The hall seats over 5,000 people, well over twice as many as Orchestra Hall, with hundreds of “prommers” packing the standing room-only section (after snagging cheaply priced tickets) for performances by elite orchestras such as ours. All Proms concerts can be heard live on Radio 3, the BBC’s classical music station. Classical Minnesota Public Radio will broadcast Minnesota Orchestra’s concert at 1 p.m. on Aug. 6.